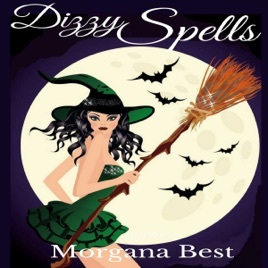 A fun, humorous cozy mystery - with witches! Amelia's spells have improved, but her baking has not. She needs to make enough dough to save her crumbling cake store business. Yet that is soon the least of her worries, when a body is found on her porch and her new friend, Dianne, becomes the main suspect. As Amelia tries to clear Dianne's name, she finds that some people in her life are not what they seem. Craig finally whisks Amelia away on a date, but Amelia's house has something to say about the matter, much to her distress. The police say that solving the murder will be a piece of cake, but are they keeping her on a knead-to-know basis? Will Amelia discover why Alder Vervain has been watching her? Will she rise to the occasion and solve the murder, or will she become the next victim?